Bernie Sanders has reached 1 million online donations in a faster time span than Barack Obama did in both the 2008 and 2012 presidential campaigns. The Vermont independent, fighting for the Democratic presidential nomination, hit the target hours before the third-quarter fundraising deadline. The news is a strong boost to a campaign that has been focused on small donations from the public rather than from big donors and super PACs. In keeping with this theme, the campaign posted the achievement to Reddit, where the SandersForPresident subreddit is currently the largest focused on a presidential campaign. At the time of writing, it has more than 110,000 subscribers. The achievement beats the record Obama set during his campaigns. For 2012, Obama reached the same benchmark on Oct. 17, 2011. And in his 2008 campaign, the then-senator reached the milestone in February of that year. The campaign team has not yet announced how much Sanders has raised this quarter. In the last quarter, Sanders' $15 million in donations was eclipsed by Hillary Clinton's $47 million. 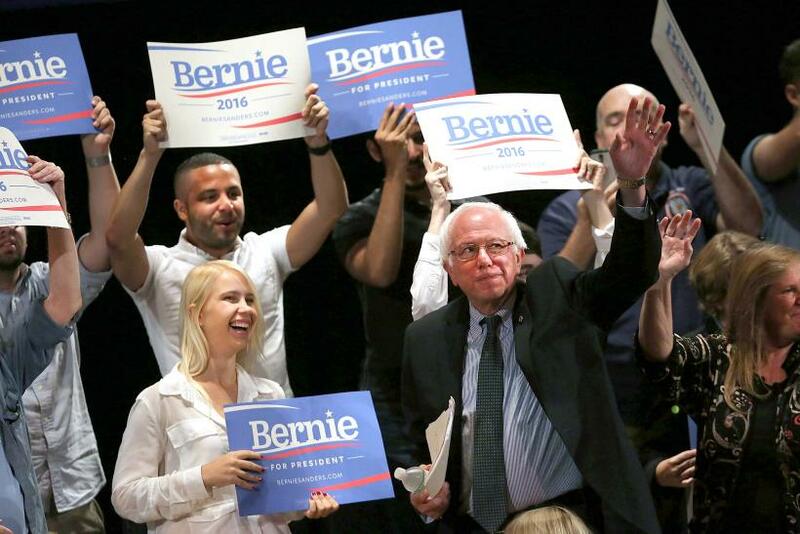 The Sanders campaign also revealed that 99 percent of donations were under $250, the average being $33.51. This may sound like bad news, but according to CNN, Sanders is running a campaign that aims to spend money slower than Clinton. Nonetheless, Sanders has some catching up to do in the polls. A Wall Street Journal/NBC poll places Clinton at 53 percent of potential Democratic primary voters and Sanders at 38 percent. However, when Joe Biden, who has not announced a run, is included, the lead narrows: Clinton polls at 42 percent, compared to Sanders at 35 percent. Twitter recently rolled out a feature that allows contributors to donate directly to candidates, but it's unclear how much of Sanders' support comes from the microblogging platform.